The molecule prompts the Hepatitis C’s viral RNA to open up a portion of its hinge-like structure and encapsulate the inhibitor like a perfectly fit glove. Chemists at the University of California, San Diego have produced the first high resolution structure of a molecule that when attached to the genetic material of the hepatitis C virus prevents it from reproducing. 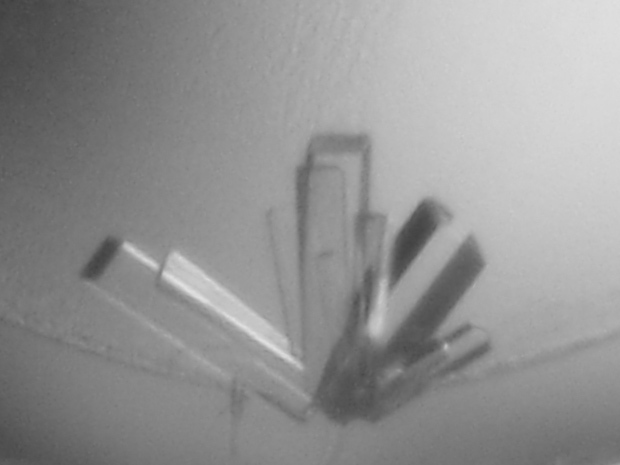 Crystals of the molecule were produced so its structure could be determined. The structure of the molecule, which was published in a paper in this week’s early online edition of the journal Proceedings of the National Academy of Sciences, provides a detailed blueprint for the design of drugs that can inhibit the replication of the hepatitis C virus, which proliferates by hijacking the cellular machinery in humans to manufacture duplicate viral particles. Finding a way to stop that process could effectively treat viral infections of hepatitis C, for which no vaccine is currently available. But until now scientists have identified few inhibiting compounds that directly act on the virus’s ribonucleic acid (RNA) genome—the organism’s full complement of genetic material. 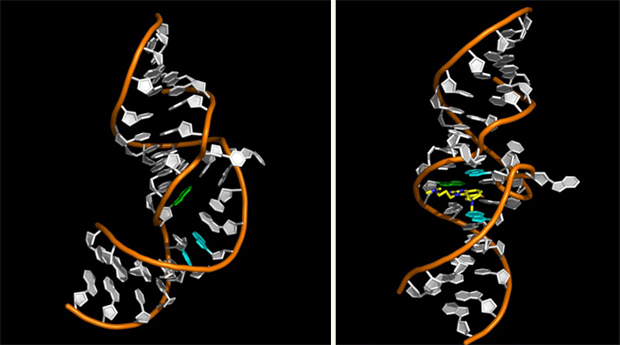 “This lack of detailed information on how inhibitors lock onto the viral genome target has hampered the development of better drugs,” said Thomas Hermann, an associate professor of chemistry and biochemistry at UC San Diego who headed the research team, which also included scientists from San Diego State University. The team detailed the structure of a molecule that induces the viral RNA to open up a portion of its hinge-like structure and encapsulate the inhibitor like a perfectly fit glove, blocking the ability of the hepatitis C virus to replicate.